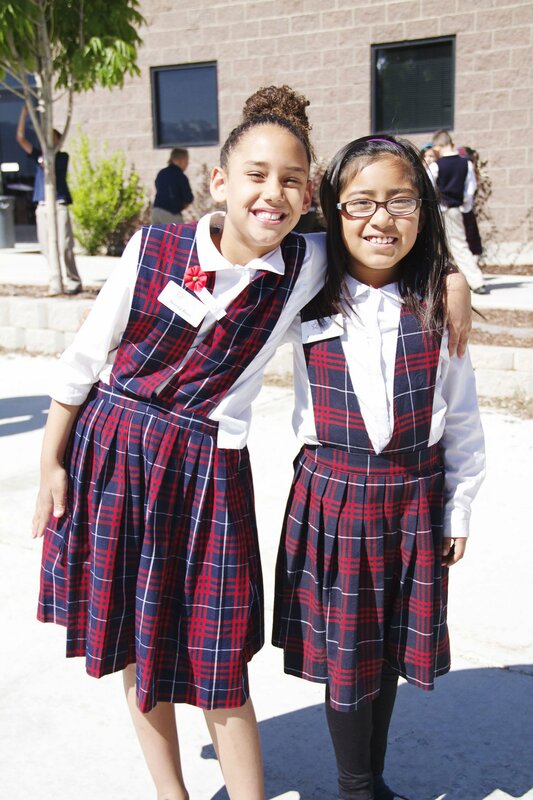 Our Elementary School program centers on our 2 pillars: Academic Achievement and Character Development. 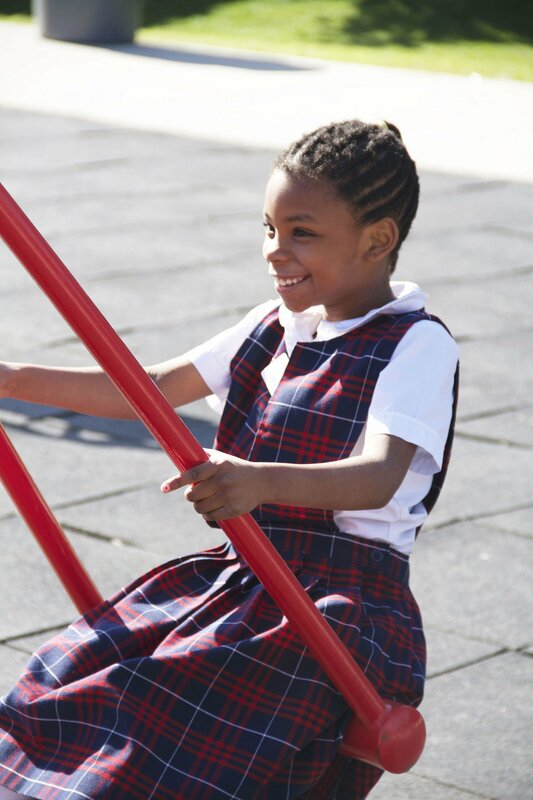 We believe children in grades K-6 need a balance of rigorous academics, creative and expressive learning, and positive social skill development – all in a motivating, cheerful environment that encourages enthusiasm for learning and love of school! 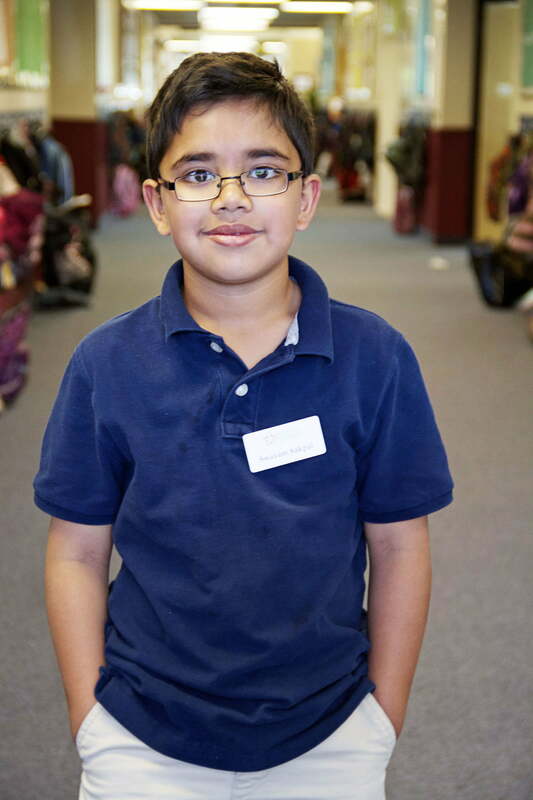 Elementary Academics: American Prep utilizes achievement grouping for reading, spelling and math instruction. All students are assessed and placed into groups that will allow them to be taught at their precise instructional level for that subject. These “fluid groups” are composed of approximately 5-15 students, allowing for small classes in the critical areas of skills acquisition (reading, math, spelling). We know that student learning is not entirely predictable, so students are consistently assessed and if a student “zooms” ahead, they are able to move to a higher level. Likewise, if a student needs extra repetition of a concept, they are able to join a new group and repeat the instruction that was challenging for them. Because all students go to groups at the same time, and the groups are not labeled in any way (no numbers, colors, or letters), our students are not typically conscious of the “position” of their group (higher, lower). Achievement groups are the most efficient way to allow students to gain skills in the fastest, most positive environment possible! We use The Core Knowledge Sequence in grades K-8, a robust sequence of content based on work by E.D. Hirsch. Reading Mastery, Connecting Math Concepts, Spalding Spelling, Cursive Writing, Language For Learning, Language for Thinking, Comprehension A, Physical Education. CORE KNOWLEDGE Science, History, Poetry, Literature and Geography, Music, Art (Monart Drawing). 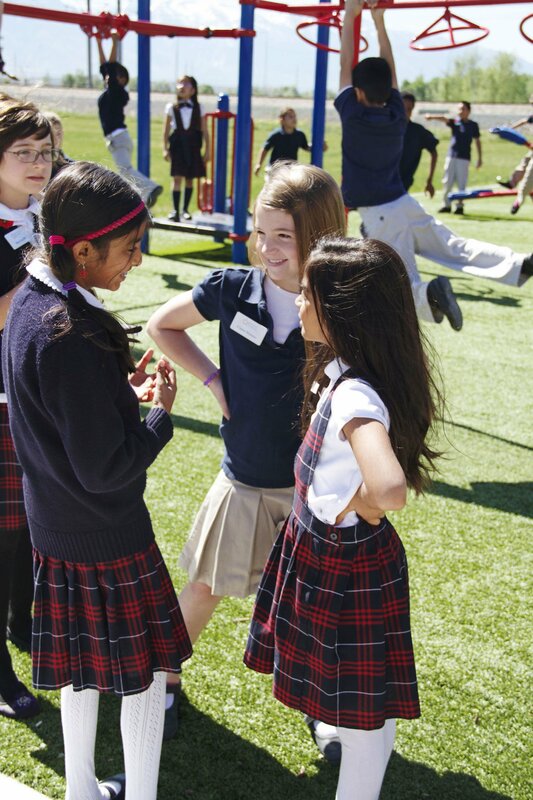 Saxon Math, Literature-Based Direct Instruction, Spalding Spelling, Latin Roots, Physical Education. CORE KNOWLEDGE Science, History, Poetry, Literature and Geography, Music, Art (Monart Drawing). 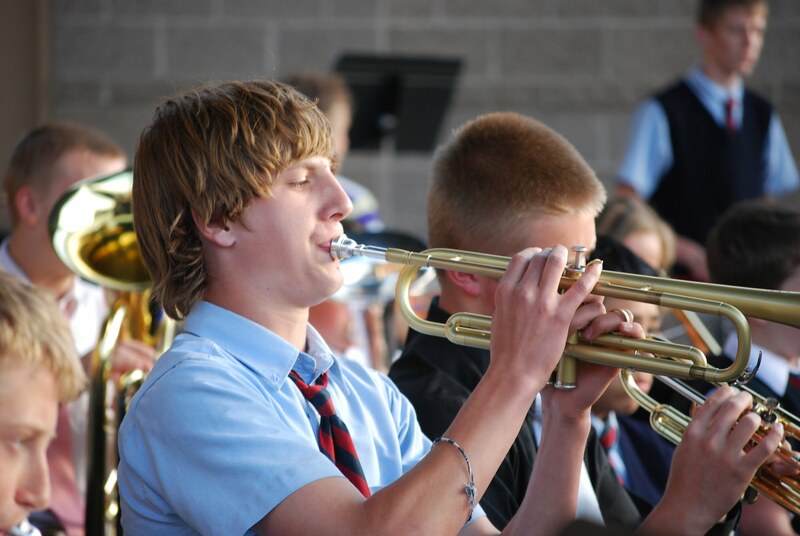 By exposing our students to music at a young age, our young scholars are able to appreciate and embrace music and begin to express themselves artistically. 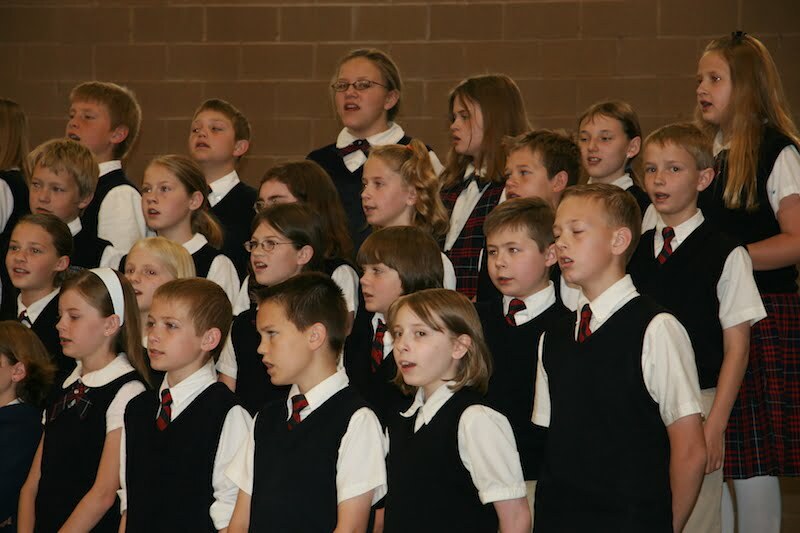 Our students learn to sing in a choir and build a love for music, and later, they have the opportunity to select an instrument and achieve mastery levels of musicianship. 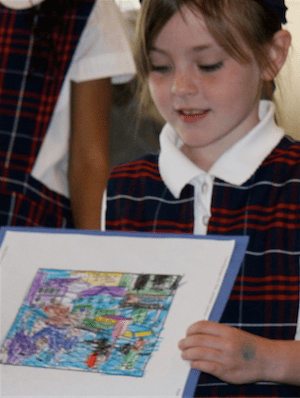 Our students learn about the great artists of history while developing artistic techniques themselves. Through the careful instruction of passionate artists, the students will learn basic skills and build on them year after year. This helps them develop their skills and increases their appreciation for art in many forms, and through many time periods. 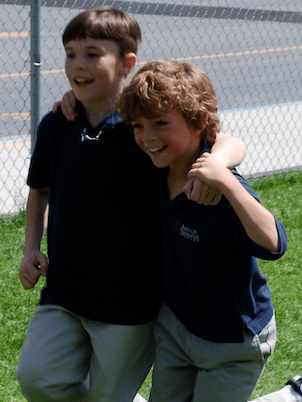 Physical education is where our students have the opportunity to move and express themselves through games, physical agility, and sports. It is an important part of keeping our minds sharp and healthy, as well as keeping our bodies fit and agile. Poetry helps our students connect with history, helps improve their vocabulary, and challenges their mind! Across the grades, students will learn to memorize and perform poetry from many different time periods and countries around the globe. At American Prep, we happily open doors to new worlds and experiences through the realm of the stage! Whether performing in a play, reciting an exciting poem with different roles, or taking a trip through history, our students have many opportunities to perform. At our weekly assemblies, they show off the things they have learned in music, history, science, language arts, performing arts, and many more! During lunch, our students learn about proper place settings, and the formal rules for dining with friends! They each have a placemat with pictures of a place setting so they can review how to set a table and they are encouraged to put things where they belong. Our students also learn that when dining at a friends house, they should wait to eat until the host or hostess begins the meal. They also learn about appropriate conversations, and table manners.